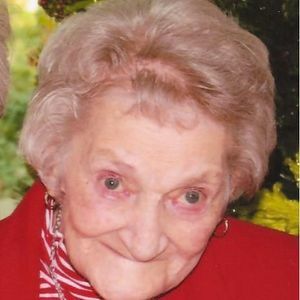 BREMEN - Minnie Estelle Moore, 88, of Bremen, died Thursday, May 21, 2015, at 1:32PM at Muhlenberg Community Hospital. Mrs. Moore was born July 1, 1926, in Harlan County. She was a homemaker, and enjoyed fishing, sewing, and playing cards. She was a member of Friendship Missionary Baptist Church; she was a Sunday School teacher and she loved her church. She was preceded in death by her husband, Glendell Moore. She is survived by her daughter, Theda Sue (Larry) Sadler of Bremen; grandchildren Wesley (Cammy) Sadler of Henderson and Gena (Seth) Villines of Bremen; great-grandchildren Byron Varvel, Drake Sadler, Kalea Varvel, and Olivia Sadler; and brother Rufus (Wilma) Sullivan of Sonora. Funeral services will be Monday, May 25, 2015, at 11:00AM at Tucker Funeral Home in Central City, with Rev. Billy Vincent officiating, assisted by Rev. Cody Corwell. Burial in Cedar Grove Cemetery. Visitation will be Sunday after 5:00PM at the funeral home. Expressions of sympathy may take the form of contributions to Gideons International. Online condolences may be made at www.tuckerfuneralhomes.com.